The odds of a high school basketball player making it to the “next level” to play college basketball (DI, II, or III) is slim. In fact, only 3.4% of high school players go on to play college basketball. Taking it even further, only 1.2% of college basketball players go on to get drafted in the NBA. In total, that means then that only 0.03% of high school basketball players will ever go on to make it in the NBA! Here are some more interesting facts on the number of college basketball scholarships available compared to the number of high school basketball players. But let’s slow down, take it one step at a time, and deal with how players can actually play basketball in college, at either the DI, II, or III levels. Having played basketball at the college level myself and having coached many players that have gone on to play college basketball, I’ve created a checklist on how to play basketball in college. This checklist is no guarantee that a player will go on to play basketball in college as there are a lot of different factors that can affect this and it’s certainly not an easy process, but it can be a useful tool to help players and parents. This may seem obvious, but it’s clear not all players love the game. Often times players love the attention they receive or the awards they may get or they play because it makes their parents happy, but at the end of the day, players that play for reasons other than the love of the game typically don’t last at the college level. Why? Because college basketball is hard! It’s a full-time job! College basketball players typically miss the majority of school breaks, such as Thanksgiving, Christmas, and Spring Break. There is also much more pressure in college basketball. Schools want to win games, and coaches jobs depend on that! Practices are intense, often 3 hour, “slugfests”. Players must earn playing time, and may sit the bench the entire game if they don’t perform. Playing time will not be “given”. If a player doesn’t love the game, how will they make it through the roadblocks that are sure to come? On the flip side, players who love the game, practice, play, and watch basketball all the time. Of course practicing and playing basketball will obviously help players (and more on that later), but WATCHING basketball can really help young players as well. Watching other high school games as well as college and professional games can help players develop their “basketball IQ” and general understanding and awareness of how the game should be played from a team and individual standpoint. Kobe Bryant’s work ethic is legendary! To get to the college level, players must have a great work ethic in order to develop the skills necessary to play at that level. Sacrifices will have to be made in order to get in the gym to work on your game. Parties may have to be skipped, fun time with friends may need to be passed up, vacations might need to be delayed, but these are all things that players with a serious basketball work ethic don’t mind. They are willing to pay the price and want to be in the gym all day, every day! To be blunt … if a player is not on his or her VARSITY high school team then there is no reason to be concerned at this point in time about playing college basketball. To take it one step further, the player should be one of the best, if not the best, on their high school varsity teams. How does one make the varsity high school team? Simple – develop the necessary basketball skills over the course of years and years of practice. This may include training, clinics, camps, and/or playing AAU, but regardless, players must develop their skills to an advanced enough level to be a standout on the varsity high school team. If a player is not on the varsity high school team, stop reading here, and get in the gym and work on those skills! Mugsey Bogues was short, but he made up for it with strength and speed! player can definitely still have a chance to play at the next level, like Mugsey Bogues or Spudd Webb, but they typically need to make up for that in another areas such as speed and quickness. Coordination – Simply put, players need to be able to pass and catch, dribble, shoot, etc. all while running, jumping, sliding, etc. Athleticism – College players need to be decently athletic. Again, players don’t need to have Russell Westbrook athleticism, but they should be able to decently jump, slide, and run. Endurance – Out of shape, overweight players who can only run up and down the floor a few times never make it, no matter how talented a player may be otherwise. I was not the tallest or the most coordinated or athletic or had the most endurance, but I was average or above average in most of those areas, which gave me a better chance to play basketball in college. There are also plenty of great online resources, such as Alan Stein’s YouTube Channel, to help players get stronger and more athletic! This is #5 on the list, but still is one of the most important aspects of playing college basketball. The better a player’s grades are, the better chance they have to play college basketball at some level. The NCAA even has a minimum grade point average that players need to have or they won’t be allowed to play. Furthermore, having outstanding grades will open up the door for other college basketball options, such as many DIII or Ivy League schools, that wouldn’t be open to player with average or below average grades. If a player wants the BEST chance to play basketball in college, get GREAT grades!! Not all players can play at colleges like North Carolina, Kentucky, Duke, Kansas, etc. In fact, not all players can play Division I basketball. Division II and III are GREAT options for many players, while some players may need to attend Junior College first. It may also be good to consider a Prep School to get some extra basketball attention and possibly an extra year of high school. I did that, and it worked wonders. Regardless, players and parents must be realistic about what level they can play at. In my opinion, this is one of the areas that MOST players and parents struggle with – they are simply not realistic. So how does a player or parent know if they are being realistic? Well, if a player wants to play at Duke, but isn’t considered one of the top 25-50 players nationally in his or her class, the chances of that player playing at Duke are probably slim to none. If a player thinks he or she is a Division I player, but isn’t being “recruited” (phone calls, emails, letters, etc.) by any DI schools, then that player probably isn’t being realistic. In the words of ESPN Recruiting Analyst, Paul Biancardi, “the market sorts players out”. Meaning, generally speaking, a player will get recruited heavily by schools on the level that that player is probably capable of playing, whether that’s DI, II, III, or JUCO. Side Note: Paul Biancardi is putting together a great webinar on college recruiting, so continue to check back with us and follow him and us on social media for more information when it is available! Now, I’m not telling players not to dream and have goals, but they also need to be realistic. Watch the video below for a funny, but true depiction of the way many players and parents are today when talking about playing basketball in college! We have now established up to this point that a potential college player loves basketball, has a great work ethic, and some advanced skills. They are also playing on their high school varsity team, has some physical tools, good grades, and have a realistic expectation of their basketball skills. Now that a player meets these requirements, the next 4 items are tools that a player can use to help them play college basketball. 3 alumni of our AAU club, PSB Select, have earned scholarships to play basketball at Davidson. AAU can often times get a bad rap for various reasons, but it’s also a GREAT tool for players as certain tournaments in the Spring and the Summer allow college coaches to come watch potential recruits in a short period of time and in one location. These “showcase” tournaments are called NCAA certified events, and there is usually 2 weekends in April and 3 weekends in July dedicated to this “recruiting period“. Because of this, finding and playing on the right AAU team is crucial for players hoping to play in college. There is a whole list of things to look at when it comes to finding the right AAU team, but the two main ones for the purposes of playing basketball in college would be “fit” and “tournament selection”. Does a player fit into what the AAU team does? For instance, if a player is a great athlete and is good in transition, then he or she may be suited for a team that gets up and down the floor quickly and pushes the pace. If a player is more of a half court player that needs to run through an offense, a slower, more deliberate offensive/defensive team may be better. As for tournament selection, this is easy … Does the team play in “showcase tournaments” where college coaches can come watch? It’s great if an AAU team plays in one of the so-called “shoe company circuits”, but if that player doesn’t play and/or that team doesn’t win any games then it does the player no good in terms of recruitment. Side Note: Tryouts for our Charlotte, NC based AAU teams, including 10th and 11th grade showcase teams, are coming up. See schedule and sign up here. If a player has some particular colleges in mind that they’d like to potentially play for then it’s often times a worthwhile investment to attend that specific college’s “elite” camp. A lot of their recruits come and play for a few days. Not all schools do this, but most do some version of an “elite” camp, and players can typically find this information on that college’s basketball team website. For example, Yale has an elite camp in which they look at players, but also many DIII coaches attend as most of the players at Yale elite camp have very good grades, and obviously not all can play at Yale or even play Division I. “Showcase” camps, on the other hand, are typically privately run by organizations not affiliated with any particular college. In fact, much like AAU, the showcase camp space has been over-run and is often times full of people that make all sorts of claims and promises, but in reality, have no real pull and/or can’t follow through. To me, the main benefit of showcase camps is they are potentially good opportunities to compete with and against other players of similar ability and with dreams of also playing college basketball. Here in North Carolina, the best showcase camps, in my opinion, are run by Rick Lewis and Jamie Shaw of Phenom Hoop Report. Their camps are affordably priced, attract a lot of good talent, and Rick and Jamie do a great job promoting potential college players. Another great camp that combines a very intense 2-3 full days of skill work with the opportunity to showcase a player’s game in front of coaches and scouts (namely, Paul Biancardi) is the Jay Bilas Skills Camp. No, I do NOT mean a “mixtape” with bad hip hop background music. I mean a legitimate, at least semi-professional looking video with highlights and a half game or full game. These two parts can be on the same video or on a separate one, but coaches need to see both. Often times, a basketball highlight video is the first introduction a college coach has to a player. If you are lucky, this can become a gateway for becoming a future recruit. The highlights are put on the video for a college coach to determine a player’s strengths while the half or full game allows the coach to get a much better feel for the player’s overall game, including their weaknesses. And yes, all players have weaknesses! If a player or parent is willing to spend the time, knows what they are doing, a basketball highlight video can be put together on services like Krossover and Hudl. If not, we have an employee who puts together great basketball highlight videos. You can see an example of her work in the video below of Trey Ford, a player we helped to walk on at Appalachian State University. Also, for a whole blog post on how to make a basketball highlight video, click here! The final step in the checklist to increase a player’s chances of playing basketball in college is to create a list of REALISTIC college teams that you could potentially play for, and get the coaches email addresses. Feel free to add in a few “dream” schools as well, but just understand them for what they are – DREAM schools. There are a couple ways to go about getting the college coaches emails, but the best (and free way) is to simply Google “[name of college] staff directory” or “[name of college] athletic staff directory” or “[name of college] [men’s or women’s] basketball staff directory”. Most coaches emails can be found this way, but it can be much harder to find the emails of coaches at major DI programs, such as Duke, Kentucky, UNC, Kansas, etc. Why you are interested in playing basketball AND attending their school? Again, none of these 10 checklist items guarantees that a player will have the opportunity to play college basketball, but they will certainly increase a player’s chances of playing at the next level. Remember, while playing basketball in college certainly seems glamorous and exciting, which it can be at times, it’s also a very serious, pressure-packed, full time job. If a player does not LOVE the game, have a serious work ethic, the minimum physical tools, advance skills, and a realistic mind set, playing basketball in college is going to be a very difficult goal to achieve. But if a player has all those requirements, and then finds the right AAU team, possibly attends an elite or showcase camp, creates a legitimate basketball recruiting video, and emails coaches at realistic level schools, then that player will put him or herself in a much better position to potentially play basketball in college! 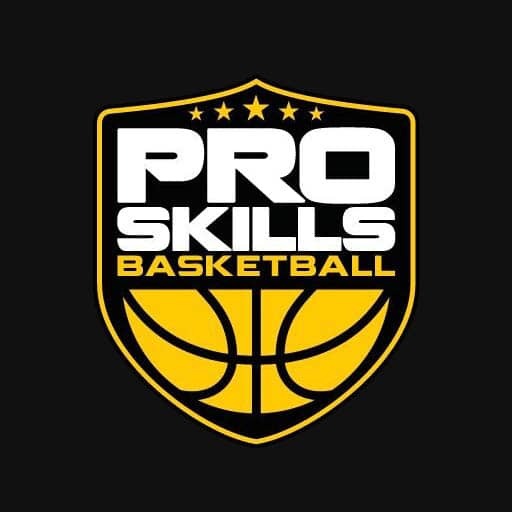 Brendan Winters is a former Davidson Wildcat and European professional basketball player as well as the co-founder of Pro Skills Basketball and co-director of Pro Skills Basketball Charlotte.